Origin and Habitat: South America (Bolivia, Peru, Ecuador Chile and the Galapagos Islands), but naturalized in other tropical regions throughout the world. 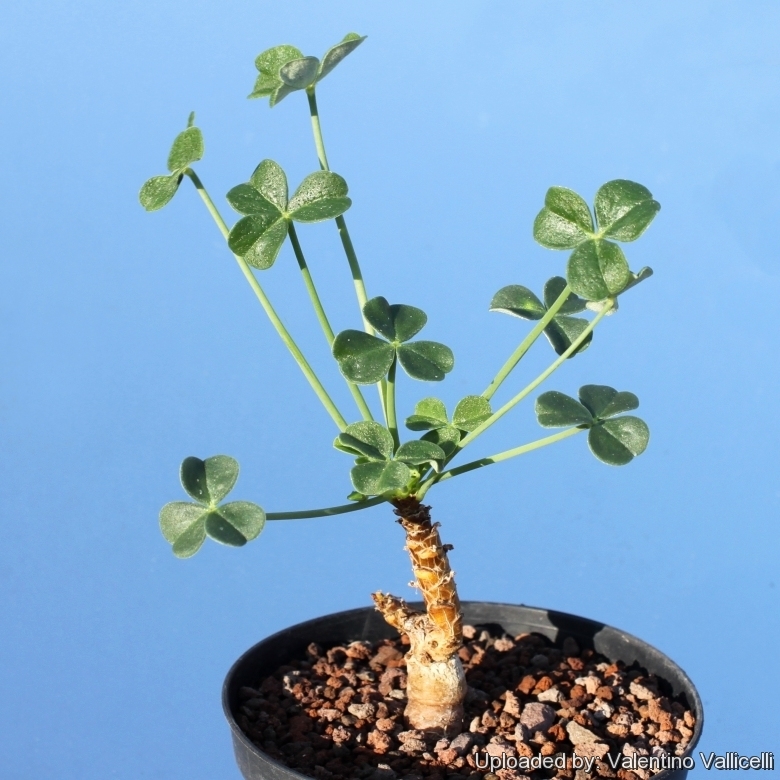 Description: Oxalis megalorrhiza is a low-growing perennial herb, about 20 centimetres tall with a swollen rootstock and short frutticose stems leafy and ﬂoriferous only at apex. 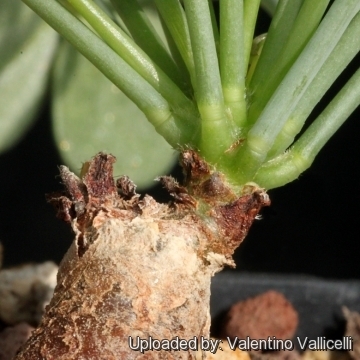 This species is singular for the great size of the root whence its trivial name. The heads of it resemble so many suffruticose stems. The shining, fleshy, deep green leaves form a small clump, whilst the flowers have yellow petals that are surrounded by distinctive heart-shaped sepals. This South American plant is better known by its synonym O. carnosa. Stem: Stout, dark, fleshy, elongating upward with growth, simple or Single or sparingly forked with few heads erect 4-10 centimetres tall, scaly apically with persistent bases of fallen petioles, to 1.5 cm thick. Caudex (Rhizomatous rootstock): Perennial, subligneous-ﬂeshy, cylindrical up to 3 centimetres thick, about 20 cm long, single or divided below into branching legs, covered with a double bark, the outer very thin ash-coloured, the inner thicker dull red, watery, acrid. Internal part white, watery, acrid with some red fibres in it running from the centre to the circumference. Leaves: Numerous, alternate, radial, several, palmately compound, fleshy; leaﬂets 3, equal, subsessile, obcordate, emarginate, sparingly appressed-pubescent beneath, surface ﬁnely reticulate, midvein prominent, 10-12 mm long, 9-12 mm wide. Petioles filiform, strict, minutely glandular-stipitate, dehiscing near base, to 7 cm long. Inflorescence: Axillary, umbel-like cymes with 1-3 flowers. Peduncles ascending, filiform, strict, glabrous, to 7 cm long, bracts ovate-lanceolate, ciliate, about 1 mm long. 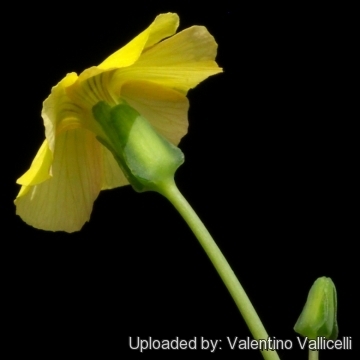 Flower: Yellow, sometimes orange along the veins and cleistogamous (they are self-fertilised even before they open). Petals 5-6 mm long; sepals, unequal, in 2 series, 2 outer broadly ovate, apex obtuse, base nearly hastate, 4-5 mm long, 3-4 mm wide, 3 inner narrowly oblong, 4-5 mm long, to 2 mm wide, nearly hidden by outer pair in bud, all more or less connate basally; stamens 10 linear-subulate, glabrous; bracts ovate-lanoeolate, ciliate, about 1 mm long. Ovary oblong-cylindrical, glabrous; styles ﬁliform, connate basally, slightly pubescent, 2 mm long. Fruit. Capsule, cylindrical, 1-1,6 cm long. When the fruit is ripe, a special mechanism is set off and seeds spread fast, thanks to it's exploding seed-capsules. 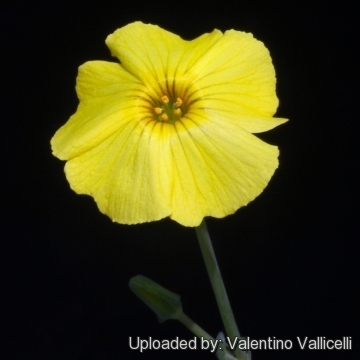 Oxalis carnosa Molina: is generally included within (as a synonym of) Oxalis megalorrhiza, suggesting that there is not really a fundamental difference between the two. Cultivation and Propagation: This is a winter/spring-grower, but can grow all year. Reproduction: Seeds. Of the three fully succulent Oxalis species grown, only O. megalorrhiza qualifies for this list. 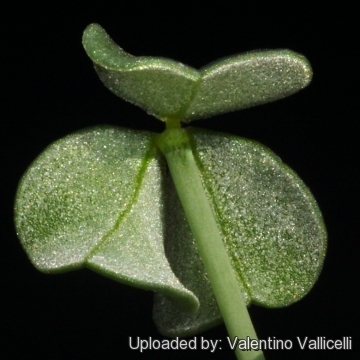 Also it is the only succulent Oxalis in general cultivation that seeds. These are produced in the typical explosive capsules of this genus that ensures the seeds are dispersed up to a few metres from the parent. 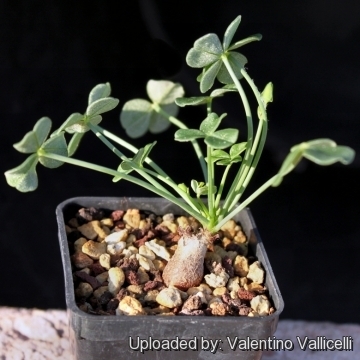 After Umbilicus rupestris it is the next biggest nuisance in the succulent collections.